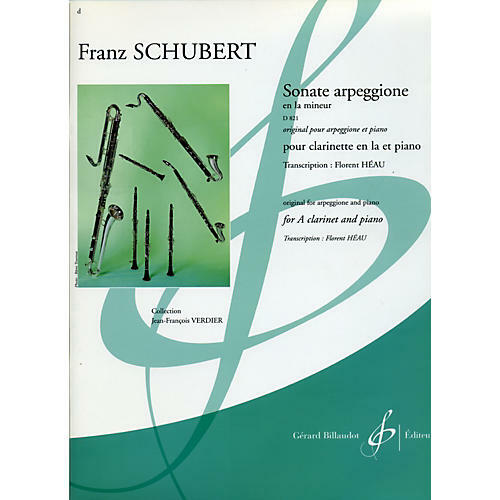 The arpeggione, as a bowed instrument, enjoyed popularity just long enough to inspire Schubert to create this wonderful Sonata, then went off to obscurity, leaving the Sonata to the standard repertoire of the cello or viola. Certainly, the Sonate arpeggione has been transcribed for a multitude of instruments and ensembles, attesting to its universal appeal, and Billaudot now brings us Hau's arrangement for the A clarinet and piano. For advanced performers. Total dur. : 28'30"